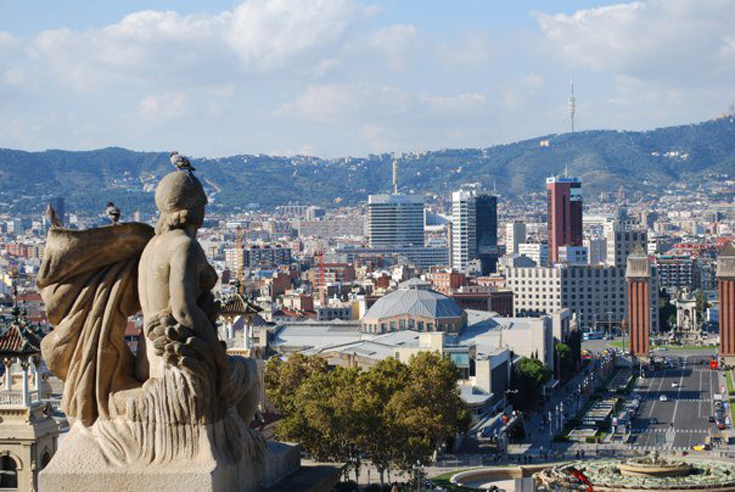 Praised by all the tourist guides and definitely still one of the nicest views in town: Montjuic. We try to go back to this viewpoint every time we visit Barcelona and enjoy the sun on the stairs as we look over the city. -Go for a jog in the parc, early in the morning. And take the stairs to upgrade your workout. -Stop by the Mies Van Der Rohe Pavillion. -Visit one of the museums. Our favorite is Caixa Forum, which is free, has great expositions and a nice bookshop. Mnac (Museu Nacional de art de Catalunya) is also pretty interesting, and then there’s always the Miro museum, if you’re into his art. -Enter “Las Arenas”, the shopping mall in the former bullfighting ring opposite the hill when you exit the metro at Plaza Espanya. Take the elevator to the roof, you have great views of the castle there. The mall opened in 2011 and was renovated by architect Richard Rogers. -Expect to find a great restaurant nearby. Take a picnic or eat before or after. This has become better since “Las Arenas” has opened, but we’d still recommend you to eat elsewhere. -Try the public restrooms in the parc. Seriously gross.